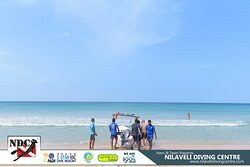 On my recent trip to Trincomalee we decided to go with Sri lanka Diving Tours, based on the good reviews we read about them here on trip adviser and I must say they did not disappoint! Sashaa,his boat captain and entire team are all so kind and helpful! We went on a private boat charter to free dive/snorkel with the blue whales that’s currently in the bay. We were able to dive with about 8 of them, they are incredibly fast so expect to put some effort in to get to them. We were out at sea for about 3 and a half hours, which went by so fast as every moment out there with these giants are magical! We also went with them to pigeon island on a different day, where we saw more than 10 Black tip sharks which was awesome! 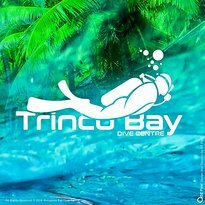 If you looking for a dive centre in Trincomalee look no further! Sashaa is your guy! Your participation is appreciated. 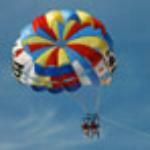 It's, our pleasure to offer our services to your utmost satisfaction. Sasha and his crew were wonderful. This was my fist time diving, so I was a little nervous. There was no reason to be. Sasha took the time to make sure I was completely comfortable and introduced be to the very addictive world of diving. What was supposed to be a two days stay turned into well over a week as I decide to get my PADI openwater, and advanced openwater with him. 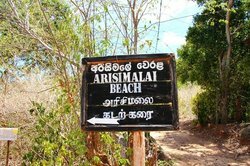 If you are in Trincomalee and looking for someone to introduce you to diving or to take you on any of the many wonderful dives in the area, then you couldn’t do better than Sri Lankan Diving Tours. Went out with Sashaa and his team to do 2 dives. I was a bit nervous as hadn’t dived for some time so they Sashaa took time to do a refresher with me. Went out with an open water group but was taken separately for a 1 on 1 dive on both occasions as I am an advanced open water diver. 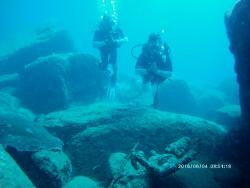 Amazing views with underwater statues on the first dive and beautiful reef on the second. Professional team, good quality equipment and excellent service. Most importantly I felt safe and well looked after, they gave me water and snacks between dives. Would highly recommend! Thank you! A good start !!! Keep diving !! We are at your services. We have a good experience with Captain Thilip & Sashaa. Both of them are lovely & friendly. Plus, we met a group of dolphin & blue whale. It's awesome! Just the right time and right place !! Wise choice !!! More diving More fun !!! We had an amazing snorkelling trip, we saw a few whales and also snorkelling with them was possible. It took us 6 hours though to see them, but the guide put a lot of effort into this trip to make us happy ! The crew is really nice, we had a nice dinner with the owner. 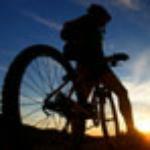 We can really recommend doing this trip with this company !! We are happy to have made your trip a success. We some how want to show you whales and make your trip a success. 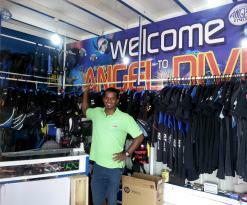 Sashaa’s Diving Tours is a really good Spot. Everybody is very friendly. 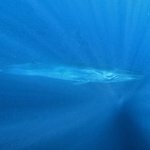 We did the private Bluewhale snorkeling trip included the snorkeling around pigeon island. It was amazing and the captain was super nice and friendly, as well. Sashaa borrowed us his GoPro for good pictures from the Bluewhale. Thanks for everything!! As a diver you have chosen some ideal activities. Remember we are at your service.